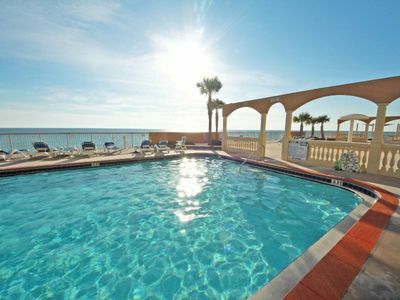 End of Summer Special: 10% off stays 4+ nights. Valid until August 31, 2017. Hi there! If you would like to book CCR, in your inquiry, please tell me how many are in your group, what are their ages and relationships, a description of pets you might bring and the purpose of your PCB visit. Thank you. 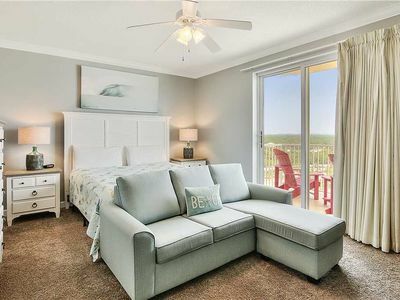 AFFORDABLE ELEGANCE in Panama City Beach at this large (1100 sf), stellar, one story duplex that sleeps FOUR (1 king bed and 1 queen bedroom) and is located in a quiet neighborhood close to the Naval Base, Grand Lagoon and the glorious white sand beaches of PCB. We've gone to great lengths to make this classically elegant retreat burst at the seams with style, flair, comfort and open spaces. 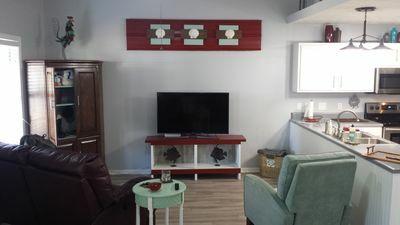 From the plush leather reclining couch and love seat in the living room to the expansive counter kitchen tops and spacious breakfast area, the home is tailor-made for gathering with friends and family. 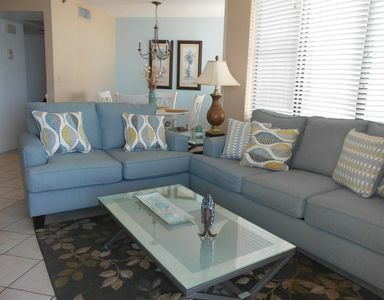 The furnishings are all stylish and modern, chosen with an eye towards comfortable entertaining. The dapper color palate is awash with grays, aquas, browns and maroons for a cosmopolitan beachy look. 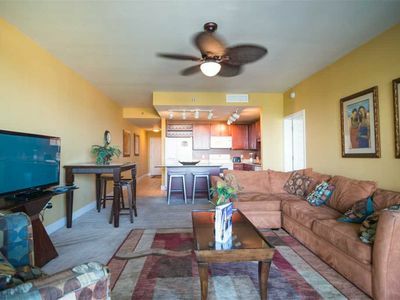 The luxurious and large (1100 sf), one level home has two bedrooms (one has a king bed and the other, a queen bed) and one bath (tub/shower combo). 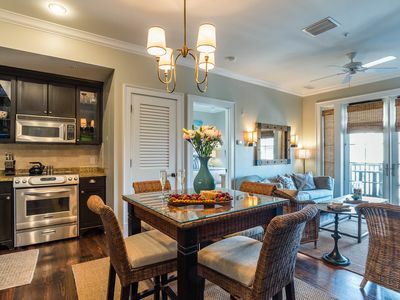 It's easy to tuck your family neatly into place inside this subdued and relaxing retreat. The bonus screened-in private lanai overlooking the backyard expands the relaxing outdoor space. 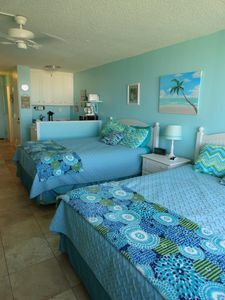 The mattresses are brand new memory foam, the linens are luxurious and beach towels and beach toys are provided. 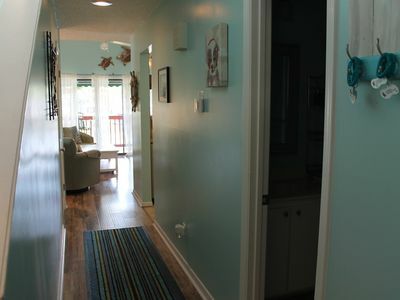 The home is centrally located in the middle Grand Lagoon area . 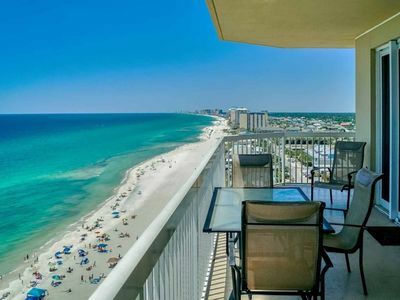 It's just 2 miles to the nearest beach (Public Beach Access #4 at 5121 Gulf Drive), 1.5 blocks to the Grand Lagoon and 2 miles to the Navy base. 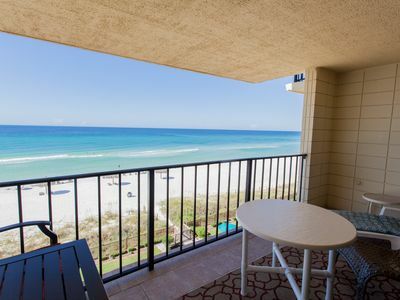 The location is super quiet yet just a short drive to all the amenities PCB has to offer. 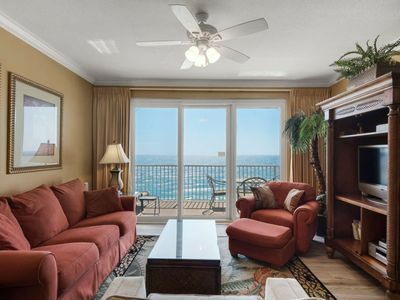 Although we don't have a pool or direct beach access, imagine this- NO elevators, NO cramped condos, NO parking far, far away from your door, NO screaming kids, NO high nightly/weekly rates, NO dark rooms, NO outdated cabinets, NO mismatched appliances. 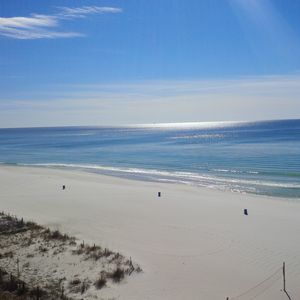 Further IMAGINE, calmness, serenity, parking a mere 5 steps from the front door, expansive indoor and outdoor spaces, a grocery store you can walk to and owners who care about YOU and want to make YOUR vacation in PCB the best ever by offering you access to the house they live in. Our pricing is fair and you don't have to pay management fees of up to 30% or for owner mortgages. NOPE, we are different, and as such, we can focus on YOU! Pet are welcome upon approval. A pet fee of $15/pet/night is charged. All travelers are required to pay for a Damage Protection Policy ($79). A cleaning fee of $100 is added to each reservation.